Surprise, surprise: Samsung has another round of phone releases coming through the pipeline. We're unlikely to see them in Barcelona next month at February's Mobile World Congress, but we can at least sort through the rumors on what the company's next mobile offerings will look like. 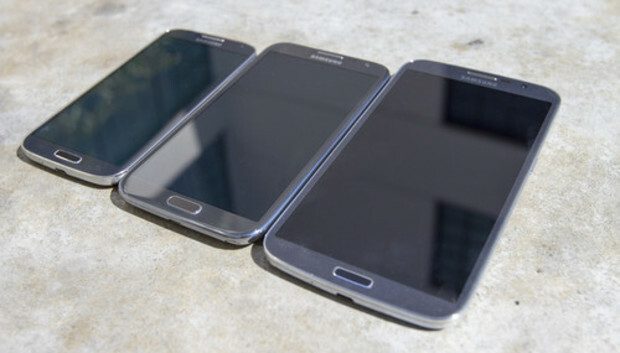 SamMobile, the popular Samsung fan blog that has a history of being right on the mark with rumors, has apparently confirmed a few of the specifications on the forthcoming Samsung Galaxy S5. The successor to last year's flagship phone will be available with either a metal or plastic chassis, with a considerable price difference between the two. The Galaxy S5 will also feature a 2560 x 1440 resolution AMOLED display, a 16-megapixel camera, and Android 4.4 KitKat. There is no indication on what the hardware inside the Galaxy S5 will look like. Speculation points to either a Samsung-branded Exynos 6 or a Qualcomm Snapdragon 805. It's likely that Samsung will produce both variants and sell one in international markets and one in the US, just as it did with its predecessors, the Galaxy S III and Galaxy S4. And just like last year--history tends to repeat itself--Samsung will launch a Galaxy S5 Mini and Galaxy S5 Zoom alongside its flagship handset, adding more devices to its already very extensive gadget lineup. We hope to hear more about the handset in March, followed by an April launch. There are still a few more factoids to learn about before then, but we'll keep you privy as they're unearthed.